Meet John Zeckendorf. 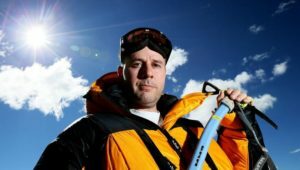 Rise and Shine’s Robbo and Becci did recently, after he became the first Tasmanian to climb Mt Everest, the world’s highest mountain. ‘Climb Every Mountain’ from the Sound of Music soundtrack would have been appropriate, but it wasn’t to be as John described at the outset the importance of undergoing the right training and preparation for mountain climbing. Especially Everest. And He wasn’t the only Australian climbing the mountain this year. John came back…some didn’t. 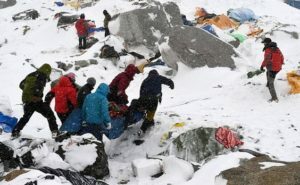 “They were bringing bodies back down the mountain as we were coming up,” John recalled. 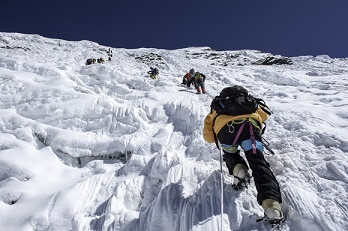 Climbing Everest is not for the faint-hearted, in every respect. 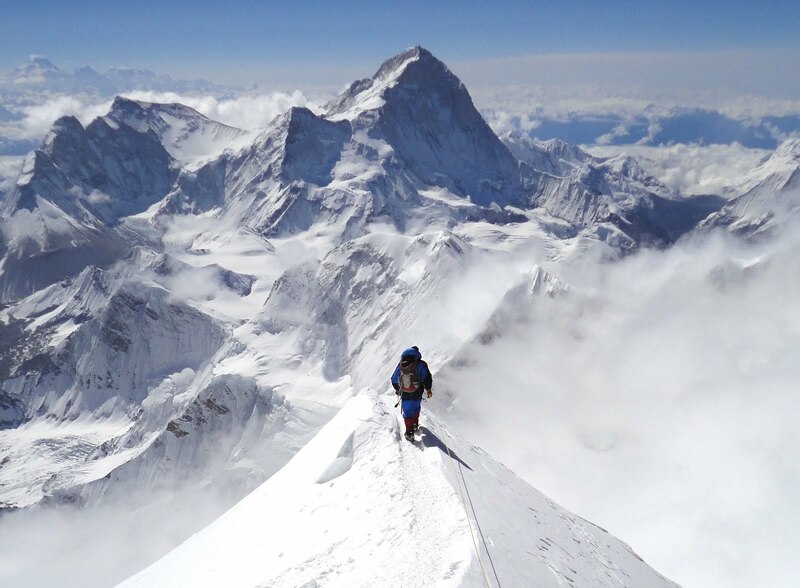 The seed to climb was first sown in John Zeckendorf’s mind six years ago with the thought high altitude mountaineering would spice up life a little bit. “So my son and I actually climbed Mt Kilimanjaro which is Africa’s highest mountain,” John said, saying it was there the topic of Mt Everest came up in a discussion with a guide from a climbing company. The guide suggested to John that he might like to first tackle a few other mountains as preparation to pick up the skills required for an attempt on the Himalayas icon. “So we went to New Zealand and did a climbing course. We went to Russia and climbed the highest mountain there. Then North and South America, Antarctica before Everest,” John informed. Fortunately, it should be noted that neither Becci nor Robbo was suffering from lack of oxygen or nose bleeds, having yet to conquer the one flight of stairs to their offices one floor up from the studio. But Tasmania’s first ever Everest conqueror has gone more than a step further. “It’s head and shoulders above all the others, it’s not the most difficult or most dangerous mountain but it is the highest,” said John, as Robbo shared his Everest experience. 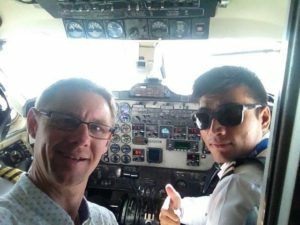 Robbo had gone on a mission trip to Nepal and jumped at the opportunity to take a spectacular joyride on a flight that captured the incredible beauty of the Himalayas and the mountain. But John wasn’t about to let Robbo off the hook for conquering Everest in air-conditioned comfort. “I think you probably had the easier route and enjoyed 90-percent of the views for 1-percent of the effort, so well done!” congratulated John, adding that Robbo had made the smarter choice. It is harder to climb the mountain. But the real heroes are not the mountaineers who succeed in climbing Everest. That title is well and truly the prize for the intrepid Sherpas. The local guides who inhabit the region. “A lot of people beat their chests and say they conquered Everest. 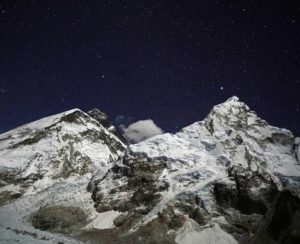 But the reality is, they wouldn’t even come close to the bottom of the mountain without the Sherpa,” John stressed, saying they do absolutely everything. John said you get up in the morning in a tent they brought up and set up for you. They pretty much lay out your sleeping bag for you and put a choc mint on your pillow’.. (LoL)…’They are just outstanding,” John expressed. What about the oxygen? Do the Sherpas use it too? “They start using it at a much higher altitude than the rest of us mere mortals and they use a whole lot less of it,” said John. “We used about 60 bottles over six days when they used about 2 or 3. So it really was about recognizing them because to be honest, there is no summit without them,” John acknowledged, saying everything happens because of what they do. 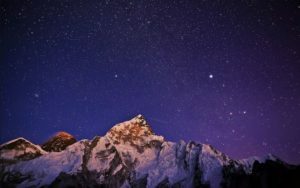 So how did the ascent impact upon John’s faith? For John the first thing about mountain climbing is that you’re free from so many distractions of ordinary life. “There’s usually no mobile phones, there’s no technology, there’s nothing that interferes with you actually hearing from God. That’s what I love about mountain climbing,” John shared. “It’s a fantastic listening time and I find that amazing,” John highlighted, saying you’re surrounded by incredible beautiful things. As the Bible tells us, when you see the glory of creation it should point to the creator. 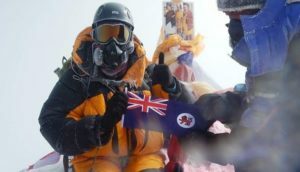 Another amazing day was Summit Day – the day they climbed to the top of Mt Everest. “I could not walk another step without God’s help. 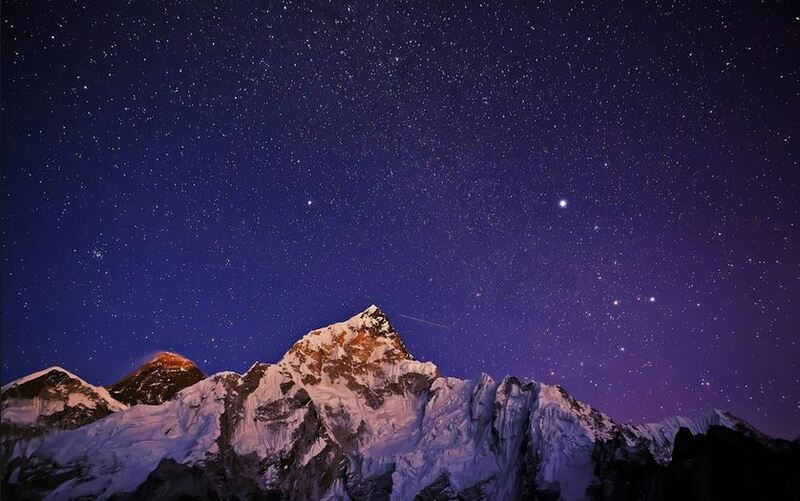 It is a very spiritual time,” John voiced before sharing what it was like to reach the Summit. Unfortunately, he didn’t see much at the top. That was the trade-off for making the climb in good weather. “So we didn’t have much wind which was great but we also had virtually no views,” said John, before sharing what was his most memorable moment of the climb. He was just 50 metres from the summit. Once on the Summit the climbers all have their own agendas. It could be photos, or a hand stand, or make a phone call. John Zeckendorf climbed with two aid groups. One was Pathways Tasmania that supports strongly addicted homeless young men in Tasmania. But for John, as far as the rock solid real earth mountains are concerned, the business side of climbing has ended. However John did say he’ll still do some climbing in the future but only for recreational purposes. John Zeckendorf, a Jewish Australian whose grandfather died in Auschwitz, was abseiling down a waterfall in the bush near Canberra when he was baptised by the Holy Spirit. “I was at the bottom of the waterfall with many tonnes of water pounding down on me and I remember thinking quite calmly, ‘Oh, I’m going to drown. No point fighting it, there’s no chance I can get out, I just don’t have that kind of strength,’” says John, now 46, and a successful businessman. A few months earlier John, then aged 19 and in love with a Christian girl, had been convinced by reading Old Testament prophets such as Isaiah and Ezekiel that Jesus truly was the Messiah. Power to Change were formerly known as Campus Crusade for Christ Australia and are part of an international network known as CCCI, Cru or Cru Global.